The US Agency for International Development (USAID) Bureau for Africa (AFR) works in partnership with African leaders and decision-makers to help design and implement development projects that are appropriate for local conditions and address local challenges in order to eliminate extreme poverty in Sub-Saharan Africa (SSA). In working to support the core mandate and activities of USAID AFR, the Bureau was seeking a contractor that could provide short and long-term technical assistance for assessments, analysis, assisting with strategy development, program design, implementation, monitoring and evaluation, communications, knowledge management, conferences and seminars. As the prime contractor of the Bureau for Africa (AFR) Institutional and Technical Support Services contract (ITSS), ZemiTek coordinates with USAID AFR, the Office of Sustainable Development (AFR/SD) and its primary contributors: Power Africa, Trade Africa, and Young African Leadership Initiative (YALI). We support the implementation of activities and offer USAID AFR reliable, high-quality short- and long-term institutional, professional, technical, operational, and support services that include analytical, advisory, management, logistical, publications, conference and events planning and assist with special projects for multiple USAID technical sectors. USAID Missions have a need to operationalize the Program Cycle, which is the way USAID achieves development results overseas. This is done through a series of policies, procedures and best practices that promote strategic planning, project design, and adaptive implementation based on evidence, analysis, and informed decision-making that increases the impact of USAID’s development approach. In 2014, USAID implemented My.USAID.gov, a cloud based Intranet solution to provide the Agency with a new organization and content collaboration platform for its geographically dispersed community. Serving as the Agency’s primary internal communications and knowledge management tool, there was a need to establish a strategy to encourage user adoption through the development of use cases, training materials and the delivery of desktop support and training to Washington DC and overseas based staff. By bringing experienced staff knowledgeable in USAID business processes, ZemiTek helps user adoption by guiding them on how to leverage the tools available in My.USAID.gov to perform their work and incentivize collaboration and knowledge sharing. In support of this effort, we develop training materials, use cases and deliver training on all components of this platform. In addition, we provide individualized support to the staff by guiding them on technical aspects of the tool as well as providing guidance on adherence to USAID’s style guide and Section 508 compliance. USAID’s bureaus and offices require contract professionals with a wide variety of technical, managerial and operational skills as well as an understanding of the culture and language of the countries where they operate to achieve their international development mission. Our culturally diverse team of professionals has provided policy, programmatic, technical and administrative support services to USAID employees, based in Washington DC and mission overseas, addressing a myriad of international development and management issues. Our team is fluent in different languages and has the in-country experience that facilitates support to missions overseas. In order to improve the maintenance and efficiency of the Joint Automated Booking System (JABS) as well as promote collaboration between the different Law Enforcement Federal Agencies, it became necessary for the US Department of Justice to transition to a modern web-based 3-Tier architecture. 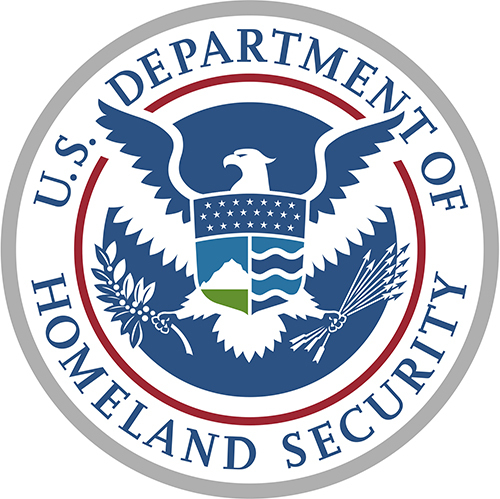 The mission of the JABS information sharing system is to automate the federal booking process, enable each agency to share and exchange booking information, and establish a federal offender tracking system to be used by law enforcement agencies such as: BOP, FBI, USMS, ATF, and the Border and Transportation Security Directorate of DHS among others. ZemiTek provided software development, systems integration of biometrics components, and well as the implementation of project management processes using Earned Value Management (EVM). We managed JASB 3-Tier software development and technology insertion during our involvement with this project. The National Institute of Food and Agriculture required business support to analyze and optimize processes offered to civilians, and land grant institutions in order to organize a framework of services that supports their mission objectives. This will help improve existing processes by eliminating redundant, inconsistent steps in each process; and enhance NIFA’s ability to enhance delivery of services. NIFA's mission is to advance knowledge for agriculture, the environment, human health and wellbeing, and communities by supporting research, education, and extension programs in the Land-Grant University System and other partner organizations.